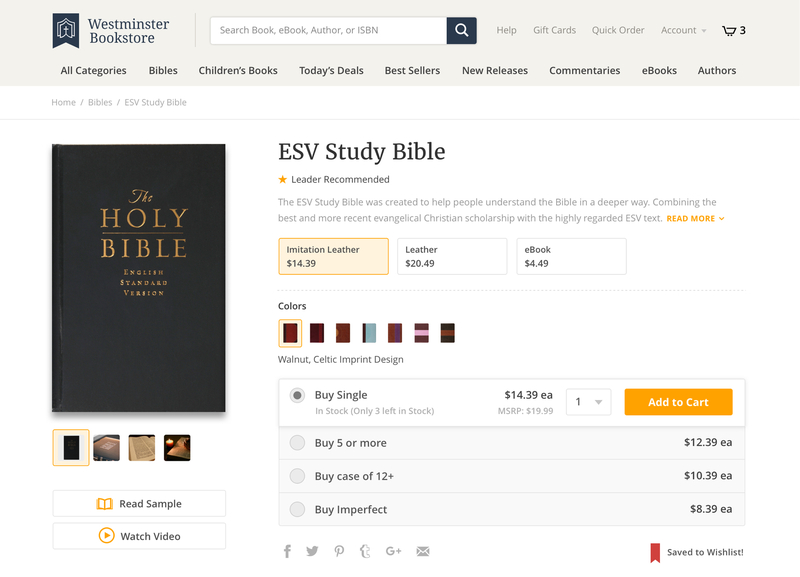 Westminster Theological Seminary’s Bookstore is one of the leading bookstores that specializes in religious literature on the Christian faith. 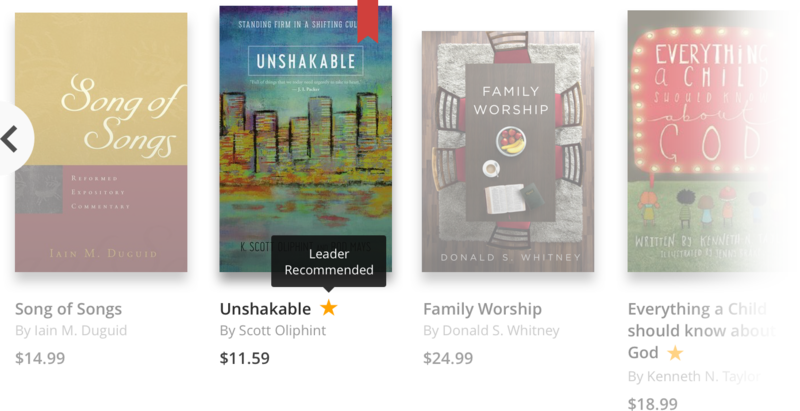 Westminster Theological Seminary’s Bookstore (WTSBooks) is a bookstore that curates a wide range of theological literatures and provides high quality packaging for every order. 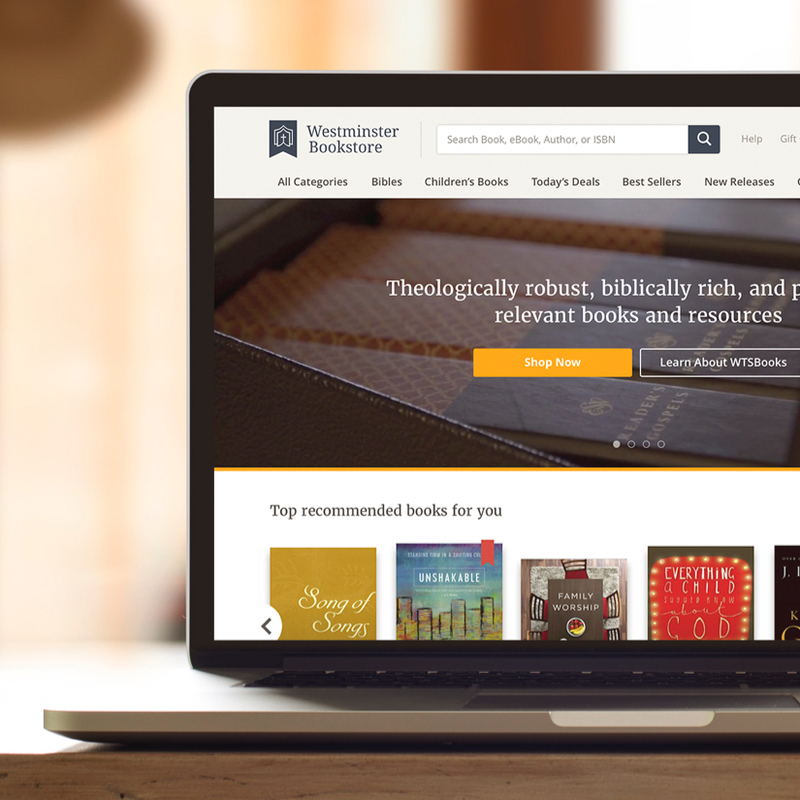 I helped WTSBooks redesign their eCommerce site to streamline purchase flow, as well as update their brand to match the new design direction. To optimize the purchase flow, I focused on interviewing WTSBooks’ customers to gain insights around pain points, calls to action, browsing habits, popular products, checkout experience, and perception of the brand. Consolidating the findings surfaced many insights around product categories and organization, page structures, callouts, and best practices to improve the site. One interesting insight stood out — Customers have a very high level of trust and confidence in religious thought-leaders and their recommendations. Sharing their product testimonials and recommendations added tremendous value to customers who want to make the right purchases. 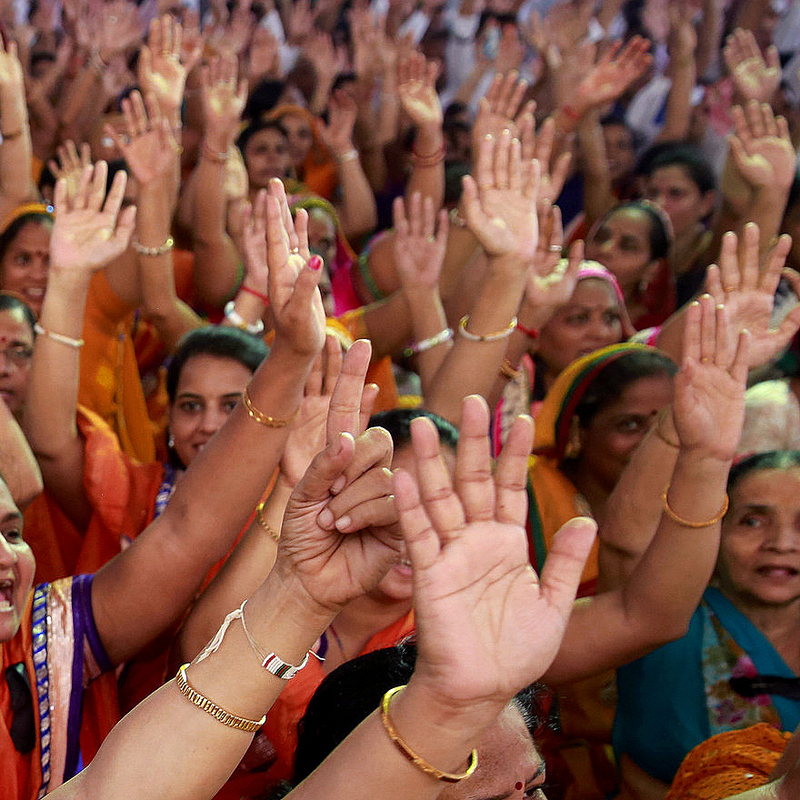 With this insight, we focused on touch points within the customer flow to promote religious thought-leaders’ recommendations. 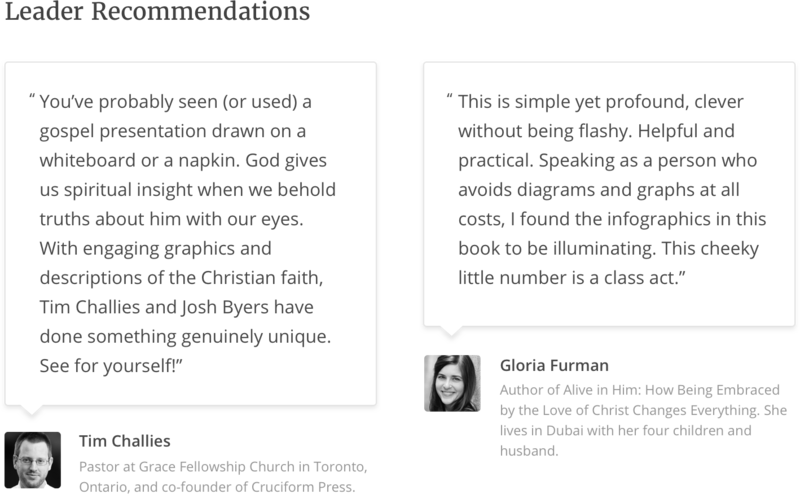 Within the product listings view, endorsed books are indicated by a gold star icon with the label of “Leader Recommended.” On the product details page, the leader testimonials are highlighted, along with a brief bio about the thought-leader to build trust. Improving the information architecture around the product categories and filters helped streamline the purchase flow from the product listings to the details page. Other improvements included functionalities around product quick views, customer reviews, author bios, image galleries, and one-page checkout to create a cohesive customer experience. To match the new design direction, I updated the look and feel of the logo — as well as optimized its spacing and sizing for mobile. The brand’s classic book icon — with the additional ribbon bookmark as a frame — kept the logo familiar while strengthened its visual connection to religious literature. 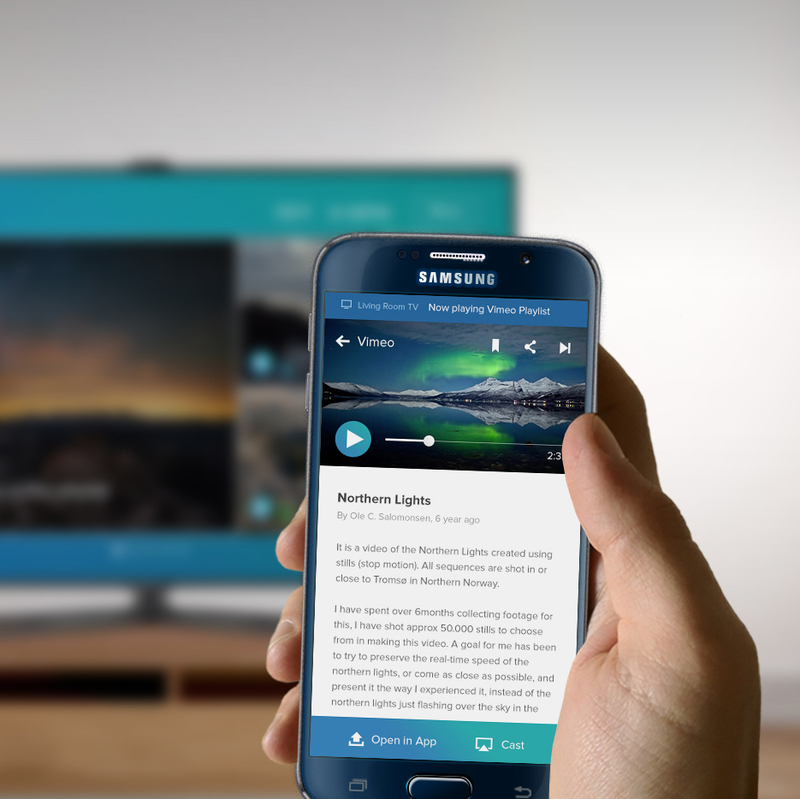 The redesign improved the overall customer experience and captured WTSBook’s new brand. By uncovering what WTSBooks’ customers key motivators were, we were able to leverage our insights to build a new eCommerce site that better communicated its value and generated increased sales.